Add us as your Browser Search Provider! How much have we raised? We are launching our own internet search page! All you need to do to start raising money is set this address as your homepage or click on the given link above (Add us as your Browser Search Provider!) and start searching from your browser itself. The process is simple; click the "home" button to visit the homepage and save it as your homepage. 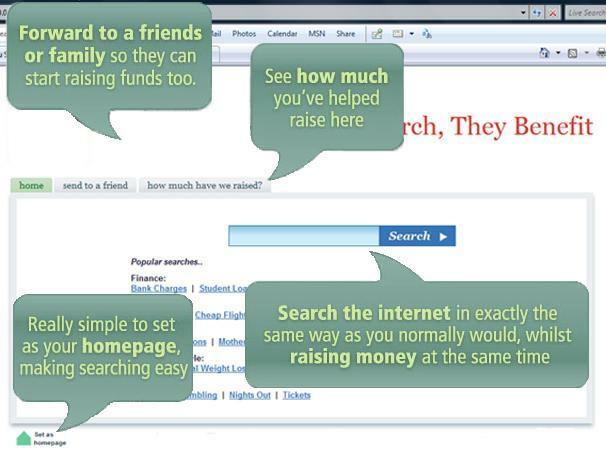 You'll be raising money with minimal effort in no time at all. Thanks in advance for your support, let's get raising!